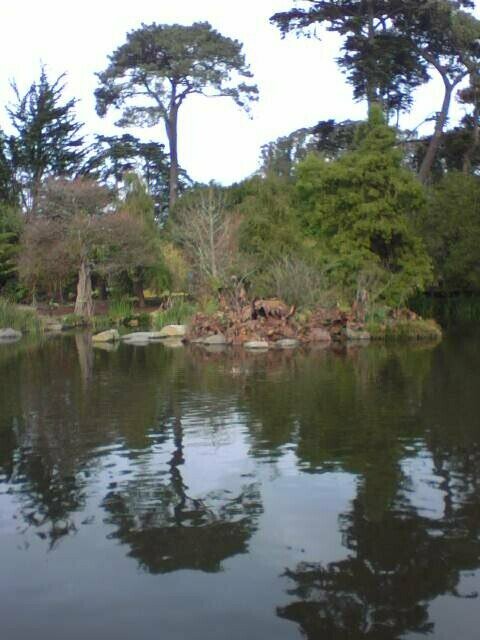 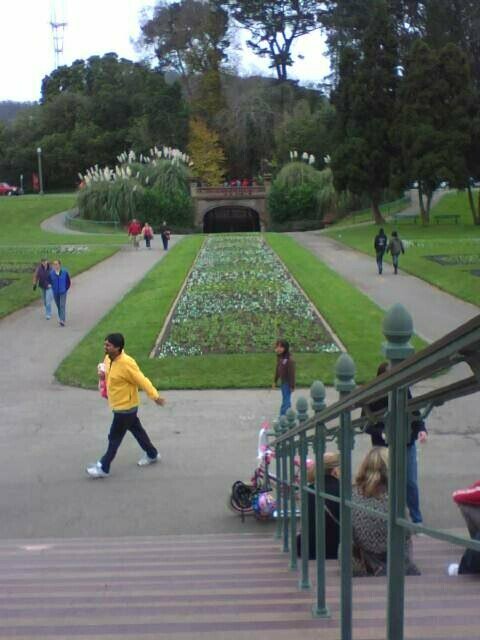 The Botanical Gardens in Golden Gate Park — gorgeous! 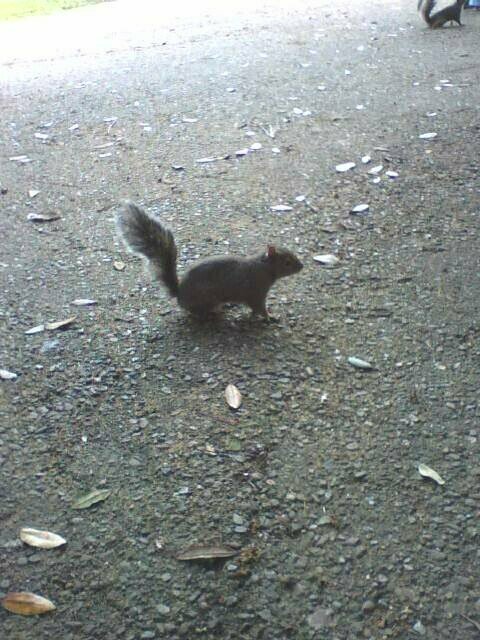 Among the seemingly endless “Don’t” signs at the Botanical Gardens was one demanding you not feed the squirrels; however, coming up to a huge cypress tree we were suddenly surrounded by a herd of squirrels all of whom clearly expected to be fed, but we remained obdurate, instead trying to snap pictures of them which did not appease the little rodents in the least. 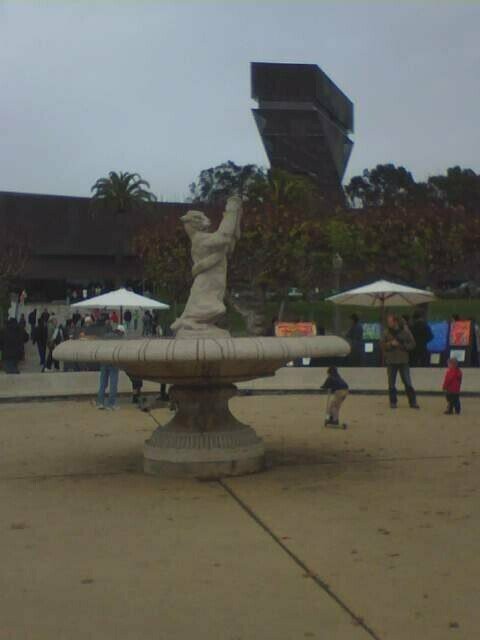 The DeYoung Museum from the fountain between it and the Academy of Sciences, both of which were completely booked due to it being the Saturday after Xmas — a fact which had eluded us and hundreds of others who sought admission. 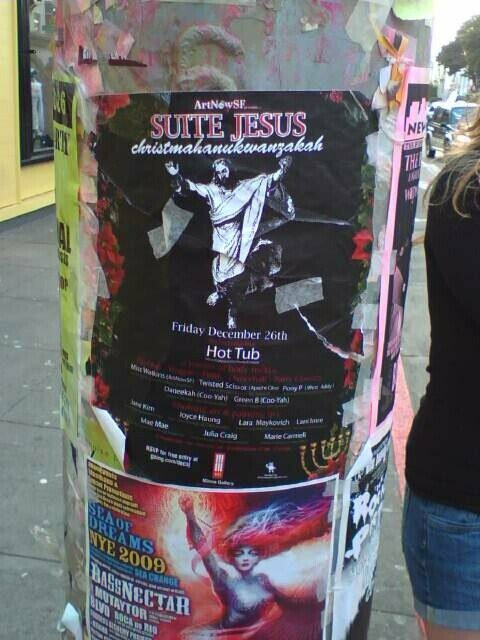 Haight-Ashbury: just as you pictured it, eh?